How Do I Stream using OBS Studio (MacOS)? In this OBS Tutorial for DaCast, we will cover how to connect to the DaCast streaming solution and set up your live stream using OBS Studio, a free and open source live stream encoding software. Note that this tutorial is not based on the DaCast version of OBS Studio that is available in your DaCast account. Follow this link if you are using DaCast version of OBS Studio. This guide relates to for the Mac version of the Encoder (Windows version available here). 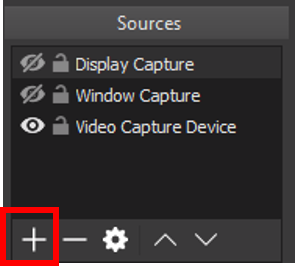 Open the settings of OBS Studio. Go to the “Stream” tab. Select “Custom Streaming Server”. You should see 2 fields: URL and Stream key. You will need to go to your DaCast account to fill out this information. 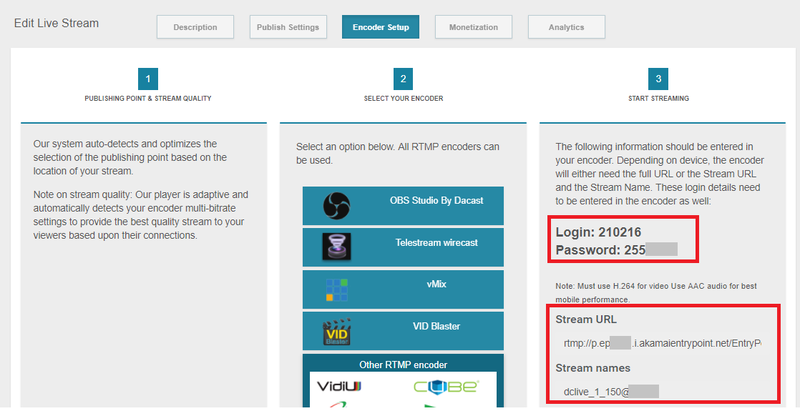 Go to your DaCast Channel, Encoder Setup section and select “Other RMTP Encoder”. Fill in “URL” and “Stream Key” with you DaCast Stream URL and Stream Name, respectively. Then click on “Use authentication” and fill in “Username” and “Password” using the Login and Password of the live channel. At this point, you are set up to broadcast with OBS to Dacast. From here, you can add multiples sources (camera, audio, display capture, etc.) by clicking the “+” button in the “Source” (bottom of the screen) and remove them by clicking the “-“. You can also add (“+”) and remove (“-“) “Scenes”. Scenes are presets sources than you can mix together. Later, you can also assign hotkeys to switch between the multiple Scenes you’d have created. To do so, go to the “Hotkeys” tag of OBS’s “Preferences”. Before starting the stream, make sure all the following settings match the picture below. Keyframe interval = 2 seconds and nothing else , rate control = CBR, profile = baseline. Once you are happy with your OBS Studio settings, click on Start streaming.